As organisations of all types experience unprecedented change, project management skills become ever more important for success. Staff at all levels are expected to take on project management roles and be able to contribute effectively to delivering project assignments on time and to budget. This GLOMACS Planning, Organising & Controlling Projects training seminar provides a framework for successfully managing projects based on extensive research into project performance across all forms of enterprise. 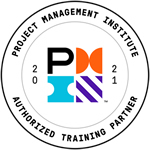 The methodology presented, which is complementary with PMI® and other models, offers a versatile approach that will enhance both individual and project performance. This proven GLOMACS Planning, Organising & Controlling Projects training seminar is designed to equip those involved in project work with the essential skills needed to fulfill their responsibilities in a professional way. The concepts, methods and techniques presented include both well established and latest thinking to provide the essential knowledge, skills and toolkit to ensure more successful project outcomes. This GLOMACS Planning, Organising & Controlling Projects training seminar is based on a combination of interactive learning activities - group and individual exercises, case studies, video sessions and discussions - along with formal input. Topics will be covered through understanding the intellectual framework followed by a demonstration of how this is done in practice. Issues related to the integration of people management and technology will be discussed in group settings where more senior and junior attendees will work together for mutual benefit. The impact of project management software and information systems as well as latest trends, e.g. the application of Agile management methods, will also be considered. Understanding some Key Financial Concepts: Break-even, Net Present Value, Discounted Cashflow, etc.